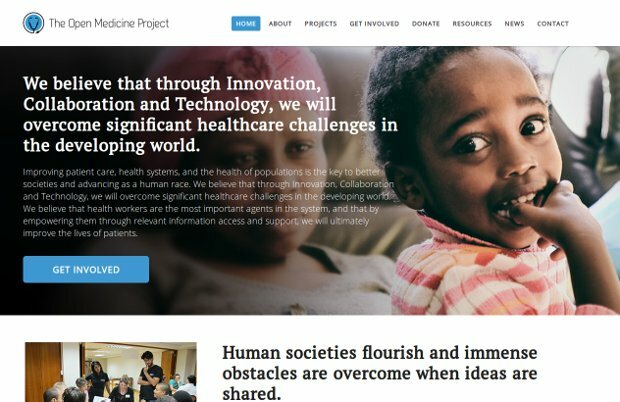 The Open Medicine Project empowers frontline healthcare workers by creating clinical-support mobile applications which are based on local and relevant in-country standards. The apps freely disseminate vital content and decision support tools to the pockets and hands of healthcare providers. They are developed together with local health authorities in South Africa and in other under-serviced countries. This ensures best practice within limited resource constraints, less errors and better patient outcomes in Rural Primary Care, Basic Emergency Care, HIV and TB management in South Africa and other underresourced countries. Mohammed Dalwai, the co-founder and director of the project, is an emergency doctor who has worked with Doctors without Borders in places like Afghanistan, Pakistan, Syria, and Libya. Dalwai has experienced firsthand the need in the field and the failure that occurs due to overstretched workers in difficult circumstances. Believing in the value of simple tools and embracing mobile technology, he co-founded The Open Medicine Project with friend and fellow doctor Yaseen Khan.